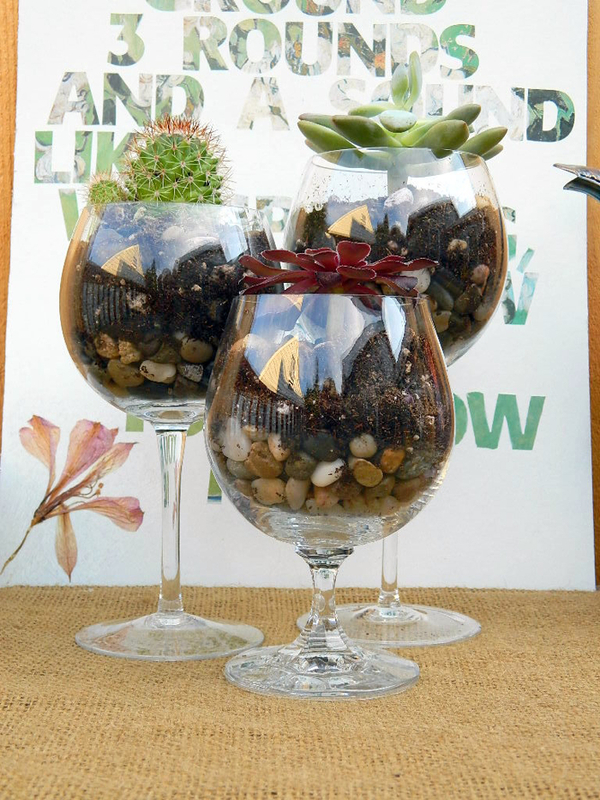 I wanted to create an eye catching centerpiece for our new home that was also low maintenance. 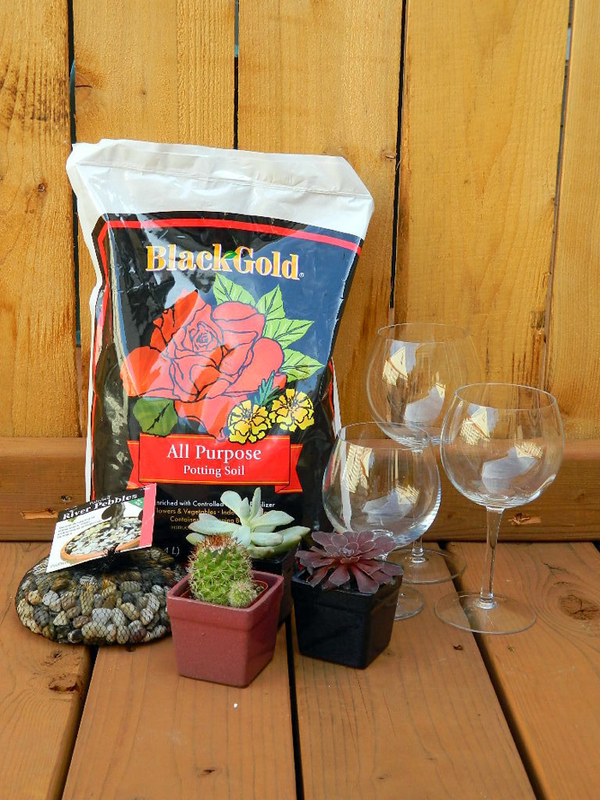 I seem to have a black thumb when it comes to flowers, so I went the simple route.. succulents and cacti! 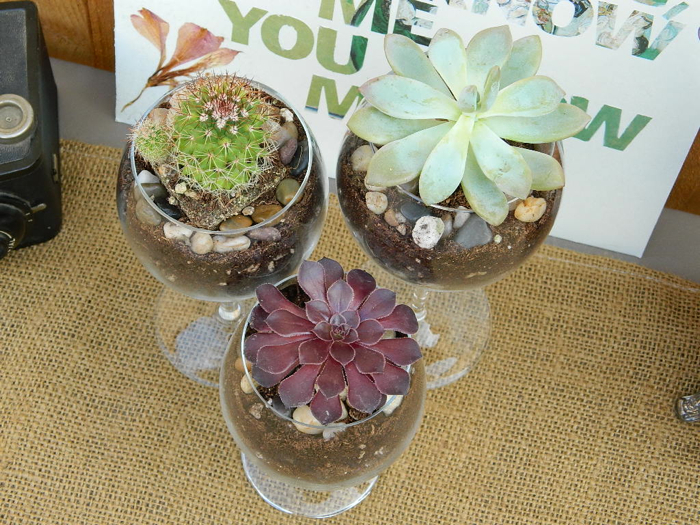 These are great if you’re a little bit forgetful when it comes to plants! 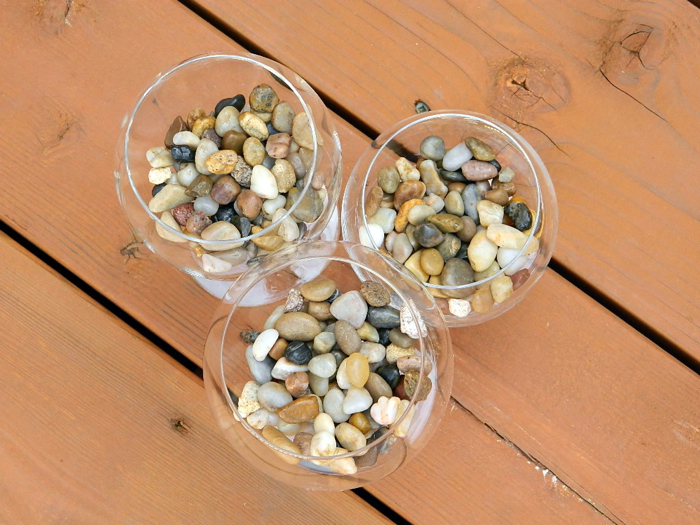 Add river stones to the bottoms of your wine glasses about ½” to 1” deep. 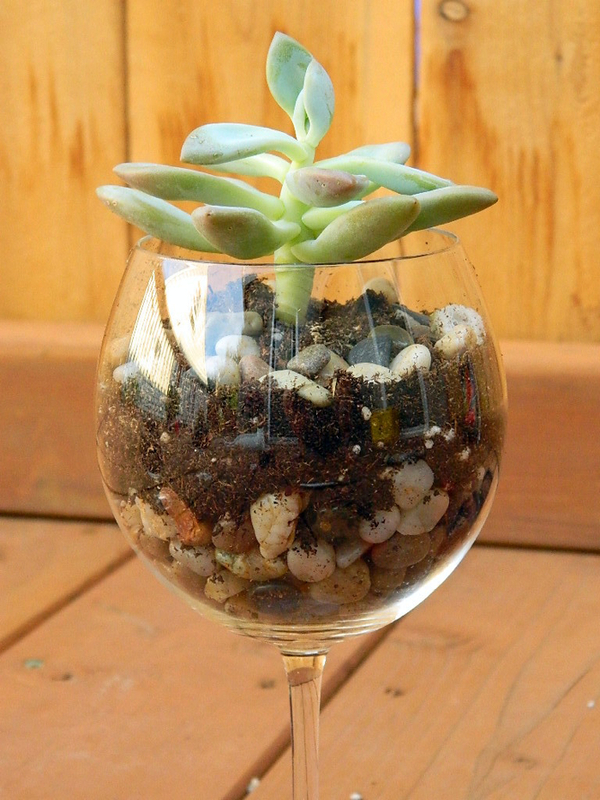 Add a small amount of potting soil, plant succulent or cactus, and fill in remaining area with soil, leaving about an inch of room from the top of the glass. Add some river stones around the top to finish it off! 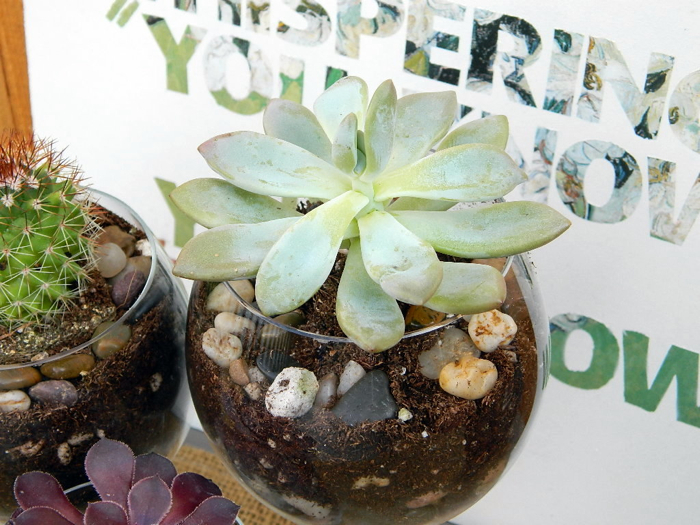 Give them direct sunlight every day for at least 5 or 6 hours and water every 2 weeks. 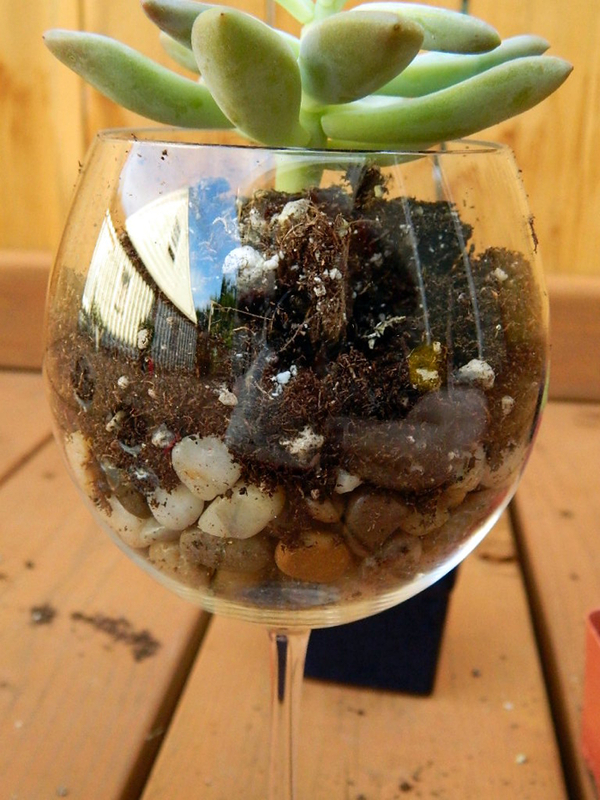 After watering, there shouldn’t be more than an inch of water visible in the stones at the bottom. At A Glance: Snow Day! Friends since middle school, we continue to inspire each other to be creative in our big, adult lives. Each season we take on a new theme to guide our crafting, cooking, and creating. We're up for trying anything, and things are bound to get messy. But that's just the way we like it.